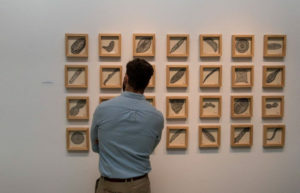 Xavier Cortada’s “Diatoms of the Florida Coastal Everglades” on display in the Hibiscus Gallery’s inaugural exhibition. 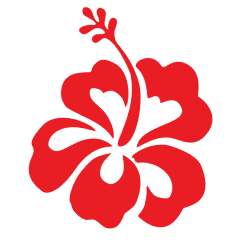 The Hibiscus Gallery is located inside Pinecrest Gardens, South Florida’s Cultural Arts Park, which features over 1,000 varieties of rare and exotic tropical plants and palm trees in a native tropical hardwood and cypress setting. The garden’s dramatic landscape enhanced with natural streams, caves, and fissures provides the stage for its historically designated structures and buildings. The main gallery at the entrance of the garden features exhibitions of environmentally-themed, two-dimensional contemporary works created by South Florida artists. Through its exhibitions and programming, Hibiscus Gallery strives to elevate the work of local artists working at the intersection of art and the environment, to raise awareness about important environmental concerns, and to establish a platform for community conversations and actions to protect Florida’s ecosystems. Indeed, one of the gallery’s permanent exhibitions is “Florida is… Nature,” an ongoing participatory art project encouraging audiences to care for Florida’s nature. It asks participants to define Florida by its natural environment, not by the edifices and man-made encroachments that displace nature. Pinecrest Gardens visitors are invited to tour the garden beyond the gallery walls and find inspiration for art they will create and upload along with a message on to the project’s online platform: www.floridaisnature.com. The gallery also serves as an active community space throughout the year, hosting dozens of lectures, receptions, and meetings for civic and botanical groups, including the monthly meetings of local native plant and orchid societies. Hibiscus Gallery also serves as the official gallery for the garden’s resident artist Xavier Cortada, presenting individual works that are exhibited in the main gallery space, in the artist’s studio (at the historic Whilden-Carrier Cottage onsite) and in site-specific installations across the garden. As its artistic director, Cortada’s vision for Hibiscus Gallery is to use the art displayed on its walls and across the garden to help viewers discover new ways of seeing. Inspiring them to better appreciate their connection to each other and the natural world, the gallery hopes to grow a cadre of engaged citizens who will do their part to better understand, protect and live in tune with nature. For more information, please email info@hibiscusgallery.com.